If she decides she can, the EU is almost certain to deny any further request for a Brexit delay were she to fail, the official said. If she decides she can’t, the EU is likely to grant an extension into next year. May’s Brexit strategy was thrown into disarray this week when the speaker of Parliament said she couldn’t put her unpopular deal back to lawmakers for a third attempt unless she changed her proposal first. But EU officials are still maneuvering to try to help her get the agreement through Parliament - and see that as plan A. In an attempt to make a Brexit extension look unpalatable to pro-Brexit members of parliament, EU leaders are likely to insist that the current divorce deal can’t be reopened even if the UK’s departure is postponed by many months, according to the official. His comment was backed up by diplomats’ notes of a meeting of EU ministers on Tuesday. Leaders will allow a long Brexit delay only if May sets out a clear explanation of how she will break the current parliamentary deadlock, EU officials said. 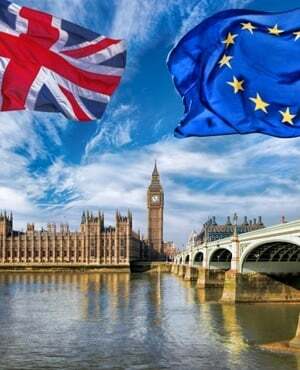 This could be in the form of “a timetable to a new referendum or a new election,” EU chief Brexit negotiator Michel Barnier told a meeting of European governments in Brussels on Tuesday, according to a diplomatic note. It’s unclear whether Parliament Speaker John Bercow will consider a new agreement on an extension enough of a change to justify another vote. He hinted on Monday that some kind of new agreement with the bloc would be required. In any case, leaders are prepared to make the extension offer contingent on a possible vote next week. If the deal is passed, the EU will grant a “technical” extension of two or three months to allow for outstanding legislation without conditions. If the deal fails, a longer extension will be required, and May will be pressed for new ideas. Going into the summit in Brussels, patience with the UK was wearing thin. Member states don’t want a no-deal, but many are keen to stop wasting resources on a country that’s meant to be leaving.